The ultimate supplement guide to get you huge! This guide is tailored to beginners and the more advanced athlete or bodybuilder. It is designed to give you that edge you will need in your journey to gaining more muscle. We all want to maximize our mass gaining goals and we will layout a very powerful supplement program. So you go to the gym everyday and you squat, bench, and lunge your way towards a better body. You increase your repetitions and you up the pounds on the bar. You stick to your guns, You are disciplined, You work hard and expect nothing but the best from yourself, right? Then you find that you have hit a plateau and your results have slowed down. Now What? You need a good strategic plan for supplementing to get you on track to gaining some serious muscle. This supplement guide will give a great supplement program, a program that is designed to give you maximum results. We will cover the best supplements and the perfect time to take them. We are going to list the supplement that you must have and dosage. Whey Protein – There is no better whey to go! The supplement industry’s top dog and the staple of this supplement guide is Whey. Whey protein is highly effective, absorbs quickly, and increases gains. It is the one supplement that you must have in order to grow. Whey is the best way to feed muscles fast and boost muscle growth when you may need it the most. 24 grams when you wake up in the a.m. Your body has been in fast state for about 7-8 hours and it is very necessary to drink a shake in the a.m. to preserve the precious muscle that you have worked so hard for. When you go long periods with no food, your body will go in to a catabolic stage and eat away at you muscle. So chug some whey protein early and you will have started your day off right. This is to guarantee that your muscle get a steady flow of amino acids while you are working out and also help you build muscle after you tear them down. This is the optimal time to take you whey because it will be absorbed rapidly. Optimum Nutrition 100% Whey Gold Standard whey is a great choice to start off with. One of our favorite and a very useful supplement is creatine. Creatine is effective at increasing energy, endurance, and muscle growth. Creatine works by forcing larger amounts of water into you muscle and putting your body into an anabolic state while increasing protein synthesis. Creatine is near the top of this supplement guide because it is great for putting on some size and getting stronger. You should take creatine along with your whey before you hit the gym for maximum performance and maximum gains. You should take another dose of creatine along with you post-workout shake. 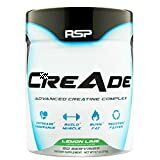 RSP Nutrition Create Supplement is a great option for you or have a look out complete guide on creatine. 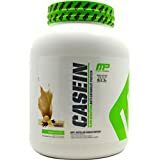 Protein is essential to muscle growth and here is another source, casein. Casein unlike whey is a slow digesting protein which makes it ideal for a bedtime snack. It will continuously feed your muscles throughout the night while you sleep. Try to consume at least 24 grams casein before bed before bed. Consuming casein before bed will guarantee that your body is getting a nice portion of protein while you sleep. This will also prevent your body from entering into that dreaded catabolic stage. This will keep your muscles growing and put you closer to your goals. Muscle Pharm Combat Casein is an excellent choice. BCAAS consist of isoleucine, valine, and leucine. When your body has been worked hard it will turn to your muscles to generate energy. BCAAS prevents this from happening and they also help fight the catabolic harmones. This will help you increase your muscle growth. BSN Hyper Amino X is an awesome BCAA supplement and worth checking out. Glutamine – Glutamine is formed in your body when the non-essential amino acid glutamate is broken down and combines with nitrogen-containing ammonia molecules. Glutamine increase cell growth and tissue repair. This is great because when you tear down muscles in the gym, you need a little extra help to build them back up. Glutamine is more of a long term supplement but does have benefits. Gaspari Nutrition Glutamine is fairly priced and a great supplement. Testosterone Booster – There are so many test boosters on the market that it can become overwhelming and confusing to try and pick the best one. We can’t allow you to go out and just buy anything so we have narrowed it down for you. There are many companies out there claiming to have the best test boosters, but their products are inefficient and fail to deliver results. We have pinpointed the right supplement to pack on the lean mass and increased strength. Read our complete guide to test boosters. Summary: We have laid out a great supplement guide and timing guide for you to gain and keep some serious mass. Try to take the recommended dosage and be consistent and you will see some very noticeable growth. Results may vary from person to person, but everyone will see results with proper diet. Make sure you get a good whey protein and a good creatine . We hope you found this guide helpful and feel free to comment and share. « The Best Nitric Oxide Booster?